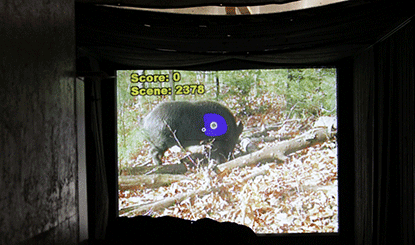 Our DART system is a simulated hunting game for archers. 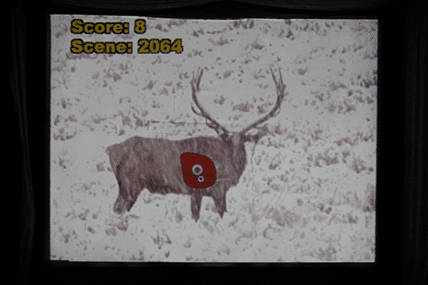 A projector plays hunting scenarios of your choosing on a large screen, and you can choose any game animal in North America as well as African big game. Archers shoot the screen and the DART system will score you based on where you hit the animal. The DART system can support groups of up to 8 players at one time. It provides a great opportunity to practice for an upcoming hunt by shooting something more life like than a standard target.